Solar brownfield development is a particularly promising market, with more than 80,000 brownfields and contaminated lands pre-screened by the U.S. EPA for renewable energy development. Brownfields provide ideal locations for solar projects with flat, unshaded areas and proximity to grid infrastructure. 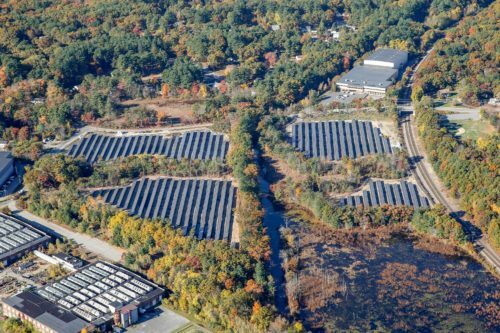 Soltage also recently announced three landfill-sited solar projects in Massachusetts totaling 15 MW. Click here to read more. This entry was posted in Nebraska / Midwest News, NewsBlog and tagged EPA's Brownfields Program, EPA's Cleanups In My Community Map, Nebraskans for Solar, solar development on brownfields, Soltage, Tenaska on February 25, 2017 by Helen Deffenbacher.